As people have become more eco-conscious they are trying to be careful about the lifestyle and buying decisions they make. Everything that you buy and use in daily life can impact your environment and surroundings. So, if you are truly eco-conscious then think twice before buying plastic or rubber iPad covers. 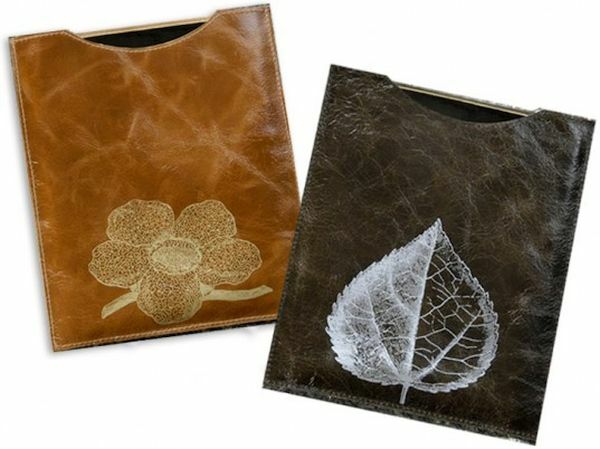 Many manufacturers have started selling eco-friendly iPad covers made from unusual and recycled materials. 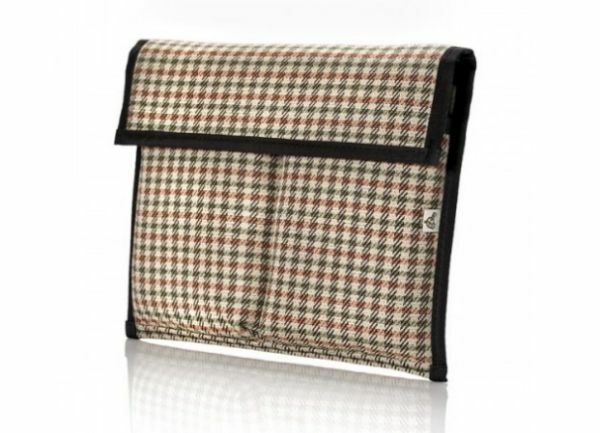 In the following some of the most innovative eco-friendly iPad covers have been listed for your benefit. Plaid Doctrine’s iPad Sleeve Plain Doctrine’s iPad Sleeve is the perfect companion for your new iPad which you want to carry everywhere without any difficulty. The sleeve is not only lightweight but its interior is foam padded. The material of this sleeve has been made with recycled plastic bottles and the lining has been created with rip stop linen. There is also sufficient place for the charger and the headphone. The sleeve is available in chevron print and plaid print. 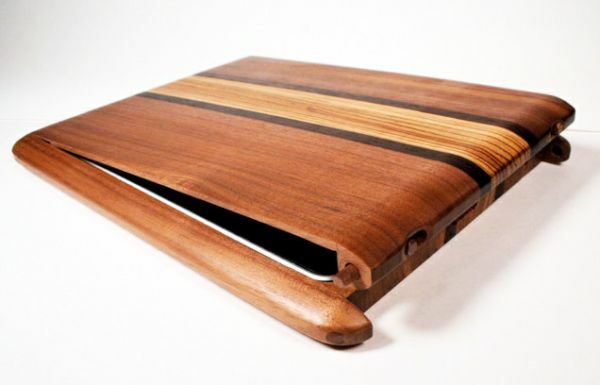 iPad case made with sustainable harvested wood Substrata have newly launched a new type of iPad case which will keep your favorite tech toy safe from getting scratched. Though made with wood these iPad cases are very flexible and have several levers which let you use the iPad as you wish and keep it in a position most convenient to you. There is no need to use hands and you can use them along with your laptop sitting on a desk or while you are lolling on the bed. Kork iPad case Made with cork the Kork iPad case is light weighted and easy to carry around. The price of this iPad case might seem to be a little high at $70 but it will offer longevity, eco-friendliness and ease of use which makes it a desirable option. The best thing about cork iPad case is that it can be recycled very easily. Dewdrop iPad case The funky and stylish iPad covers made by Dewdrop Designs cost just $60 and offer several benefits. These covers have been made by using reclaimed leather off cuts from industries. Natural dyes have been used for coloring these sleeves in bright and vibrant hues. If you are a fashionista who likes to be in style always then get the quilted iPad bag from Reveal that has been made with vegan friendly faux leather. The satin used in this iPad bag has been made from recycled plastic bottles. Manufacturers are using innovative designs and unusual materials for making iPad cases. 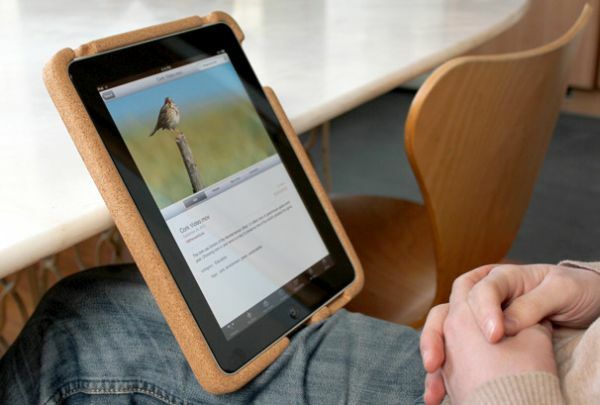 Cork, cloth and reclaimed leather are being used to make flexible, multi-functional and lightweight iPad covers.